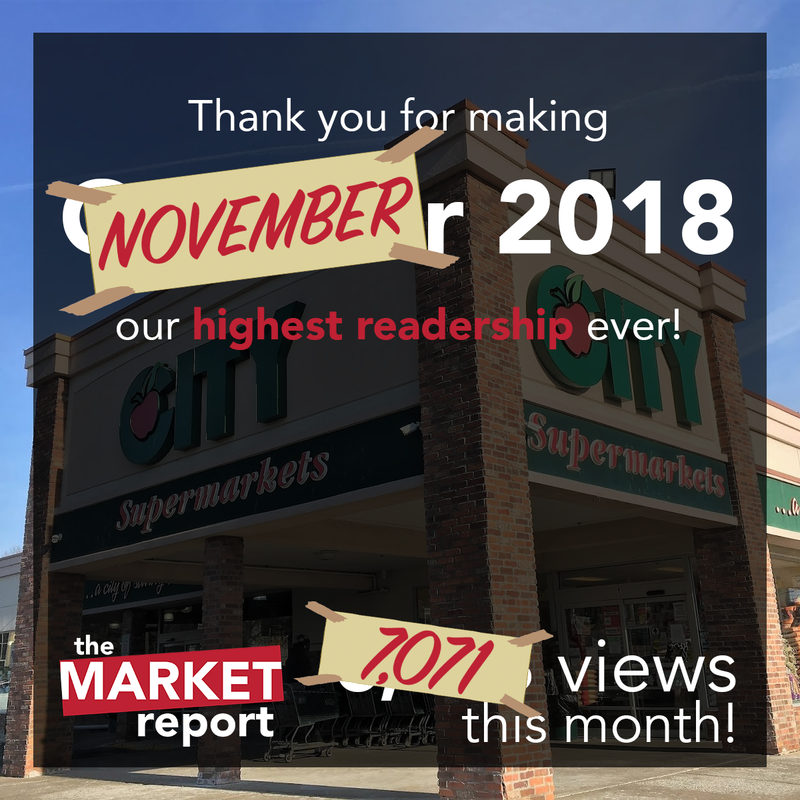 The Market Report: The Record Setting Continues! You might recall this from back in October, when I posted that October 2018 had been our best month ever. Well, we've surpassed even that! November 2018 has been the first month we've been over 7,000 views. Thank you for reading, everyone! Also, the holidays are right around the corner! I can say that now because it's December. So don't forget to order all your holiday gifts from The Market Report store at teespring.com/stores/marketreportblog. There's something for everyone, even those who [grudgingly sighs] don't love the supermarket business like we do.